This business spotlight is on LAUNCHCincinnati. LAUNCHCincinnati was created in March of 2010 in direct response to the need to encourage our youth to become innovative thinkers at an early age. As experienced volunteers, they believe there is a gap in the empowerment efforts for the young people of the urban core. True empowerment comes from building financial wealth. They believe the components of their organization will provide the foundation necessary to create strong, connected leaders for the future of Cincinnati! 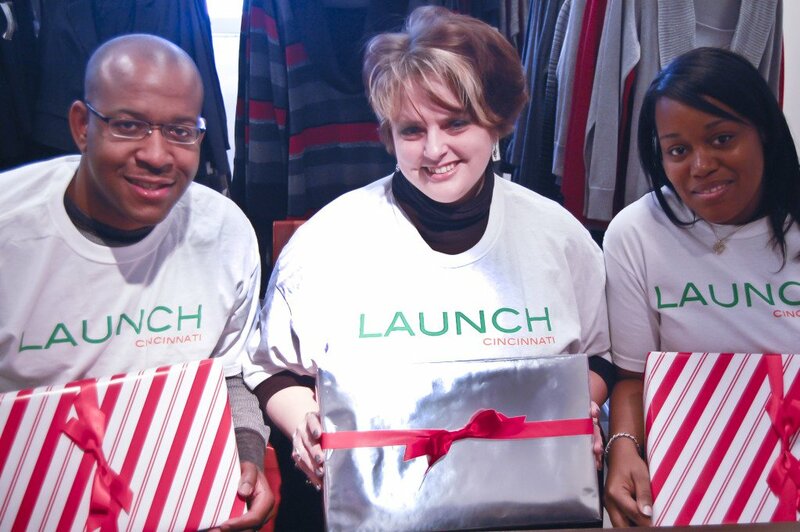 The concept of LAUNCHCincinnati was founded by Kimberly Smith, Executive Director. As a mentor and volunteer, she always enjoyed the impact she was able to make on youth from her profession in business banking. She has been actively involved in the community for over 10 years and has a personal ambition to enhance the skills and positive life experiences of the youth by participating in several charities and community organizations. Kimberly believes our youth all have the potential to succeed in life and contribute to humanity. With LAUNCHCincinnati, Kimberly believes our youth will develop skills, build confidence and gain experience through positive reinforcement and leadership. Through her communications with Galen Gordon, it was found they each share a similar interest with impacting the youth in our cities across the country. Galen Gordon, founder and Chairman of the Board, has been committed to empowering youth for more than 20 years. His passion comes from the impact mentors made on his own life as a young person and still today. Galen understands how entrepreneurship creates independence and improves self-worth. He believes the key to improving the economical climate in our cities is to cultivate an entrepreneurial spirit in our youth. Understanding the value in financial management and the power of entrepreneurship they both set out to share this with the youth of Cincinnati and LAUNCHCincinnati was formed. LAUNCHCincinnati is for any young person age 12-18 with a desire to gain an entrepreneurial mind-set. Many of our youth already possess the traits necessary to become an entrepreneur however they will help them cultivate and harvest their ideas and serve as a conduit for resources and education. The ultimate goal of the organization is to become an integral part of a bigger dream and empower people across the nation. As they bring change to the youth of our community, they are developing tools to impact adults and families through programs, leadership series and entrepreneurial events. LAUNCHCincinnati and be a part of making a positive change. Do you want to volunteer and give back to community? Would you like to make a financial contribution to support the youth of Cincinnati? Well to GET INVOLVED go to http://www.launchcincinnati.org/Get_Involved.html. Sign up and make a difference. LAUNCHCincinnati will be putting on fundraising events so keep your eyes and ears open for the upcoming announcements. It is an exciting time for the organization so let’s make this a community effort and improve our society as a whole.